THE BUSTERS “Hunky Dory” b/w “Ska Bang 87″ 7” vinyl – German SKA legends are back! THE BUSTERS are one of Germany’s most loved ska revival bands, formed in 1987. Playing 2 Tone-influenced ska, they became one of the best-known German ska bands, having a minor hit single with a ska cover of Bobby McFerrin’s “Don’t Worry Be Happy” plus releasing albums on Sony Music Germany. Their first two albums “RUDER THAN RUDE” and “COUCH POTATOES” were stone cold European revival classics that reaching a die-hard fan base in the USA. 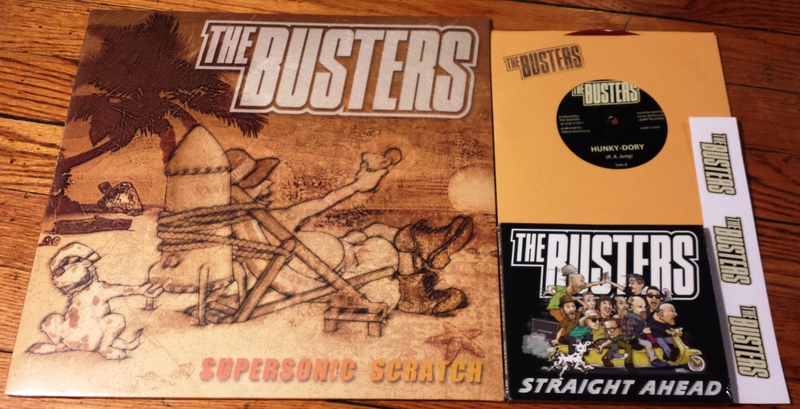 THE BUSTERS even toured the USA at the beginning of the 90’s with releases on MOON SKA NYC. To this day the band tour Germany every Christmas and run their own independent record label, Ska Revolution Records. 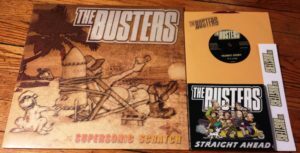 The Busters have recently released their fourteenth studio album “STRAIGHT AHEAD” – limited edition digipack import CDs will be back in stock soon. To keep the vinyl tradition alive, JUMP UP has released a limited edition 7″ single for the 2017 tour, limited to 500 copies in three colors: Dark Red, Lime Green (German Tour Only), and Goldenrod yellow (now sold out). The a-side “Hunky Dory” is a swingy jazzy ska number full of DR RING DING’s fun-loving crooner vocal style, the flip “SKA BANG 87” is an uptempo brassy ska instrumental that brings to mind vintage Let’s Go Bowling! Essential! 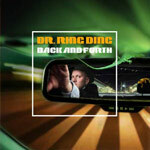 Did you miss out on the limited edition 180g LP + CD version of their previous record “Supersonic Scratch” ? 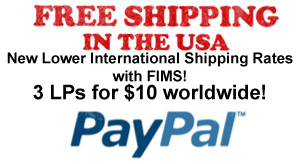 Have no fear we imported another small batch, you have a second chance to get that great record! 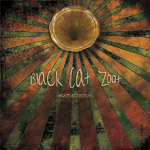 Debut 10 trx LP from Europe’s top vintage big band calypso act finally on wax! 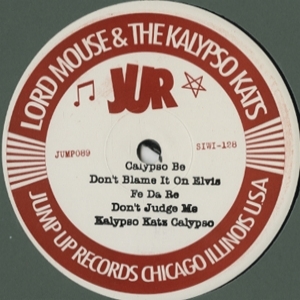 Having the look of an old Jamaican 78RPM 10″ right down to the vintage green sleeve/label art, includes new versions of “WASH YOUR HANDS”, “FE DA RE”, “CALYPSO BE” + many cool original. For fans of KITCHENER, MIGHTY SPARROW, etc. Click on the image to visit the band’s MYSPACE page and look at all the pretty gals that make up the KALYPSO KATZ!